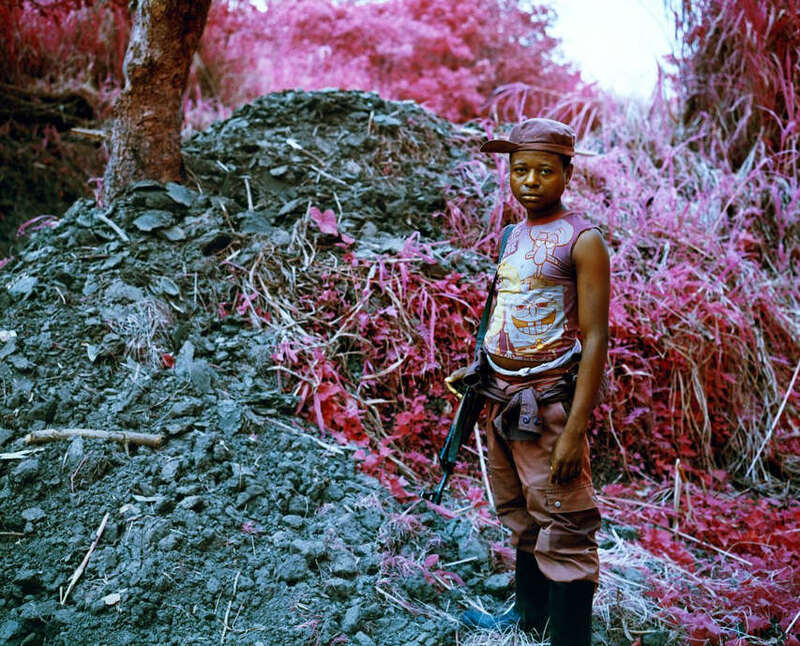 The images of war are always horrifying and deeply tragic. 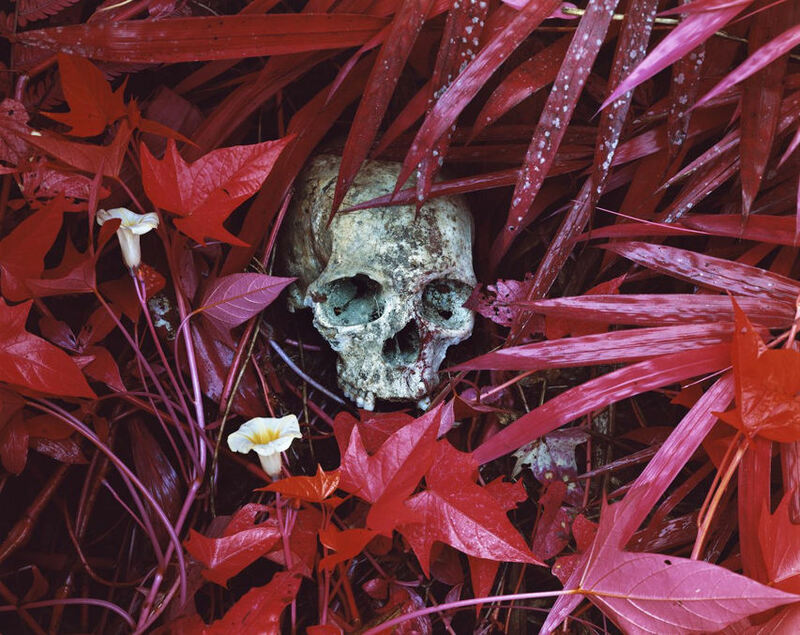 The major conflicts on the global scale were regularly documented after WW II, and a number of photographers captured various sights of civil victims and destructions from Vietnamese, over Gulf wars to more recent combats in Syria. 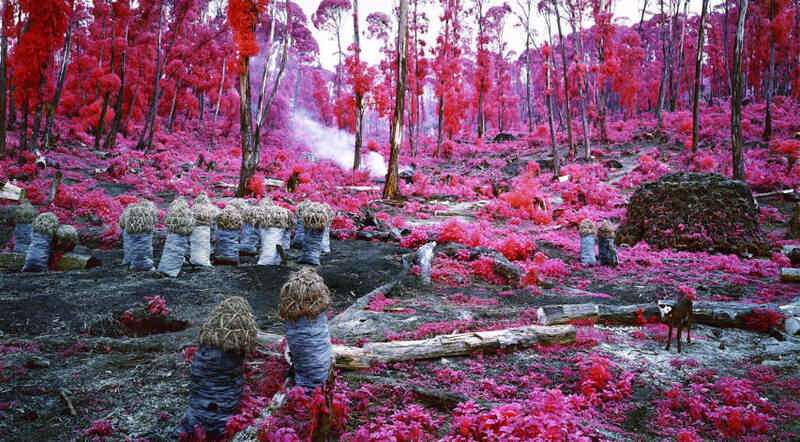 There are various approaches, yet rare are the ones which seem to be surreal and beautiful in a bizarre way. 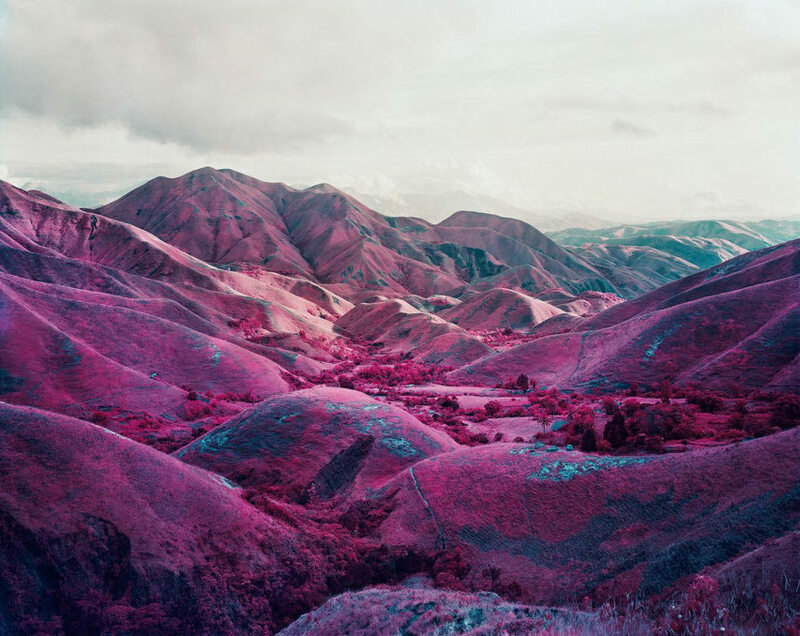 An Irish conceptual documentary photographer Richard Mosse explores the complexities of warfare in a distinct and rather unique manner. 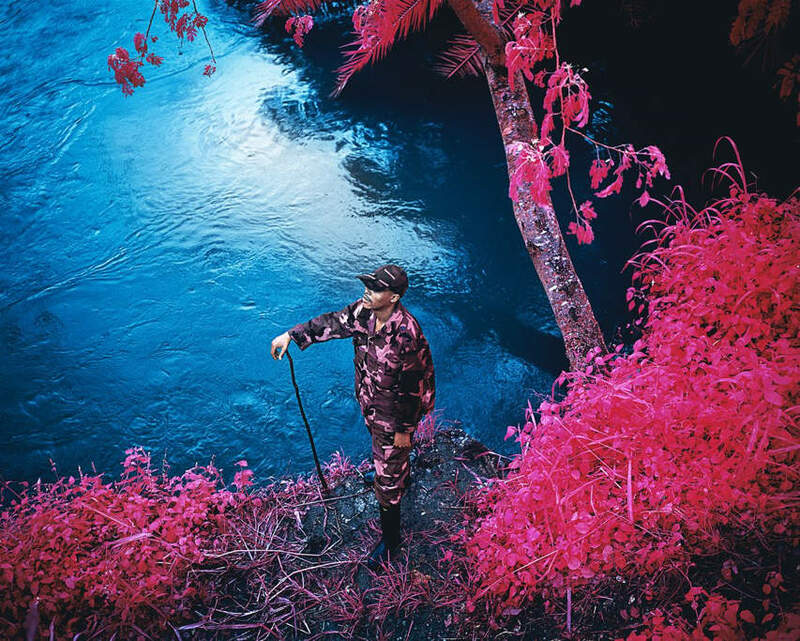 The figures of soldiers or random people caught in a moment of a sudden piece are depicted in vibrant and superficial contrasts which achieve the surreal effect of a hypnagogic vision. 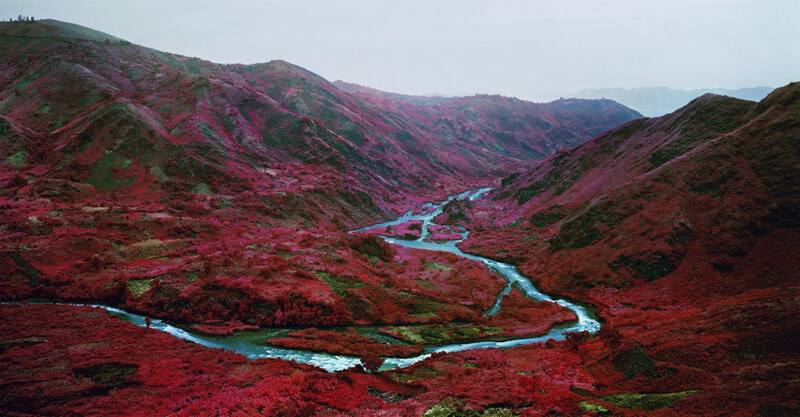 Richard Mosse was born in 1980 in Ireland. 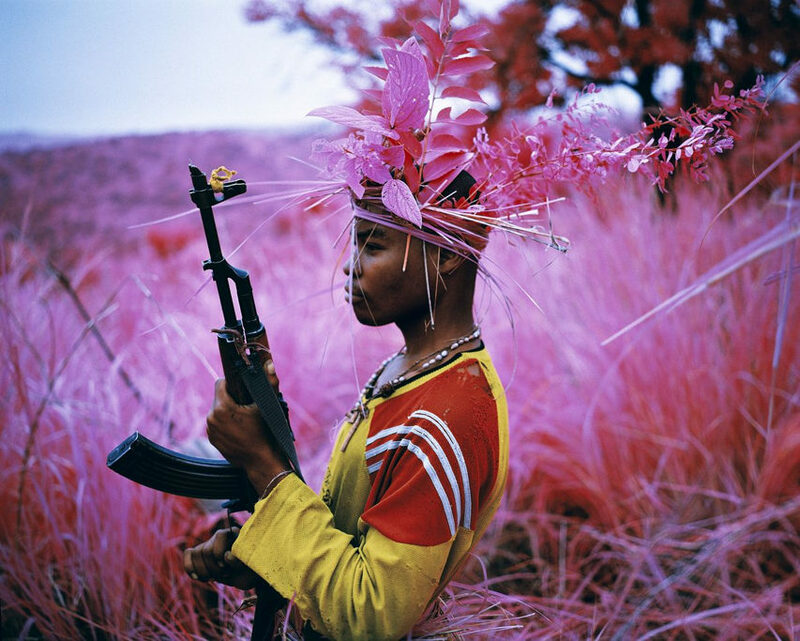 He received Postgraduate Diploma in Fine Art at Goldsmiths in London and MFA in Photography at Yale School of Art in 2008. 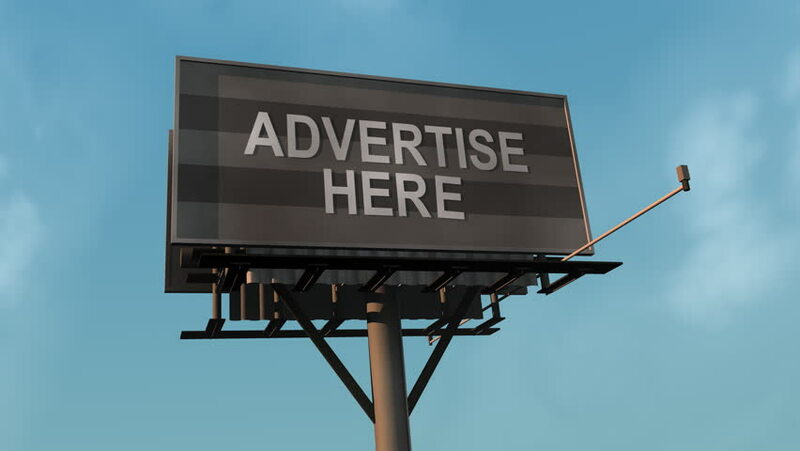 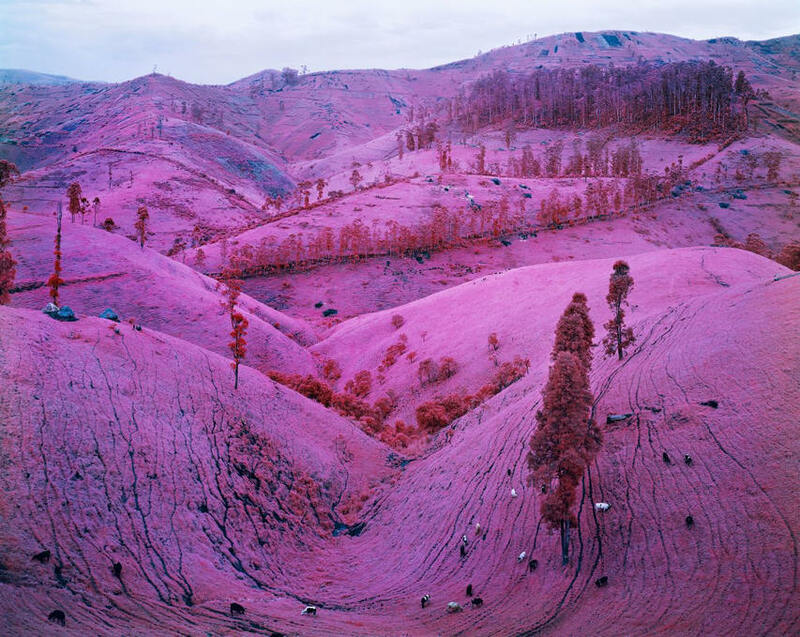 The artist exhibited solo and in various group exhibitions and his works can be found in several major institutions such as The National Gallery of Victoria in Australia, The Museum of Contemporary Art in Chicago and The Museum of Fine Arts in Houston, just to mention the few. 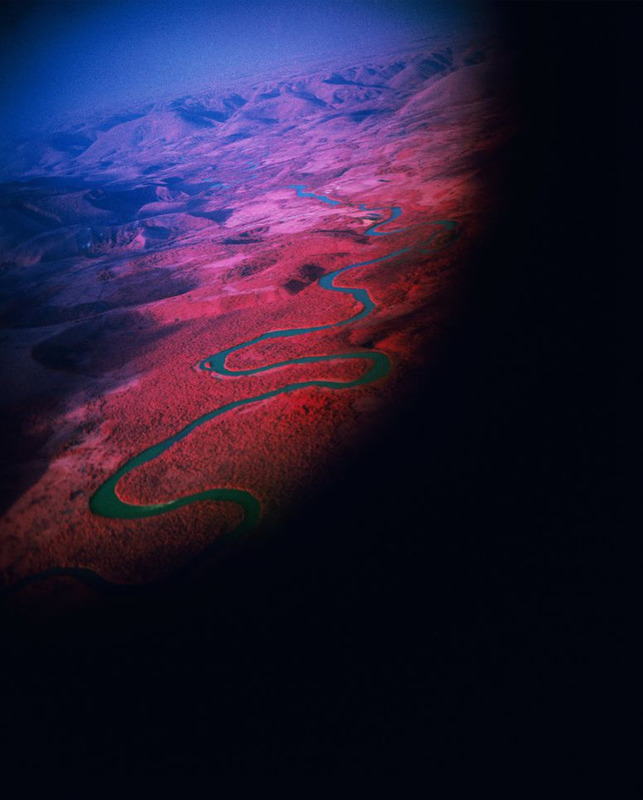 The curiosity is that his iconic images taken in the eastern Democratic Republic of Cong with a large format camera and the Kodak Aerochrome film (used for aerial vegetation surveys and for military targeting) were extended in a documentary for which he collaborated with cinematographer Trevor Tweeten and composer Ben Frost. 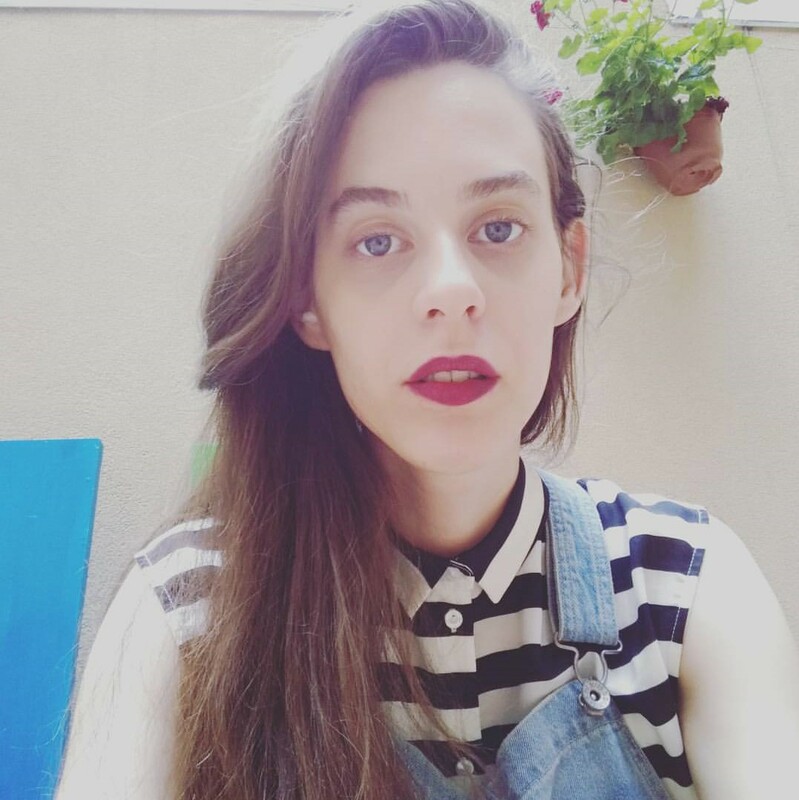 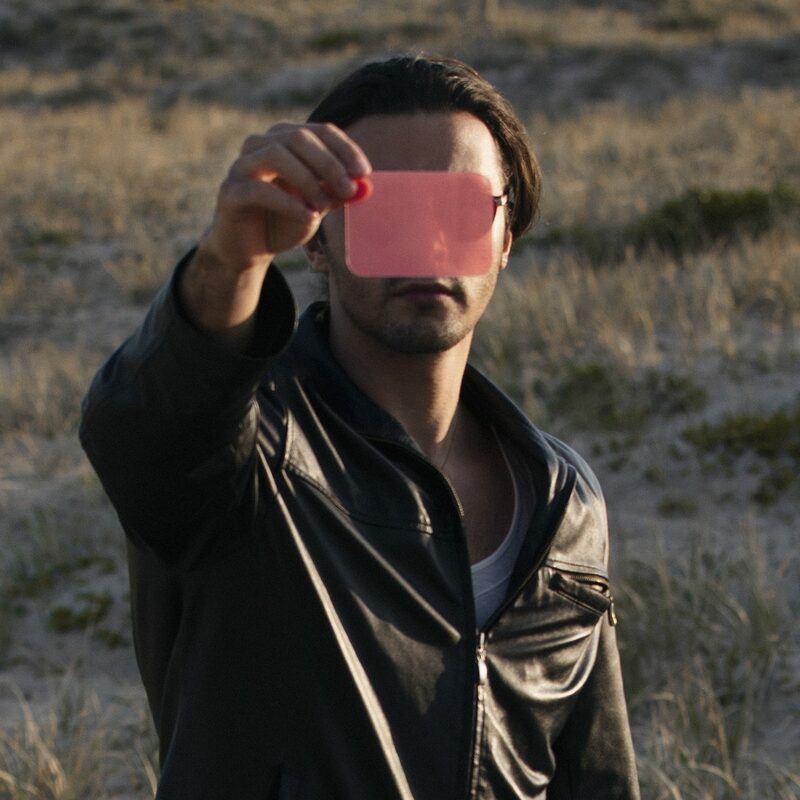 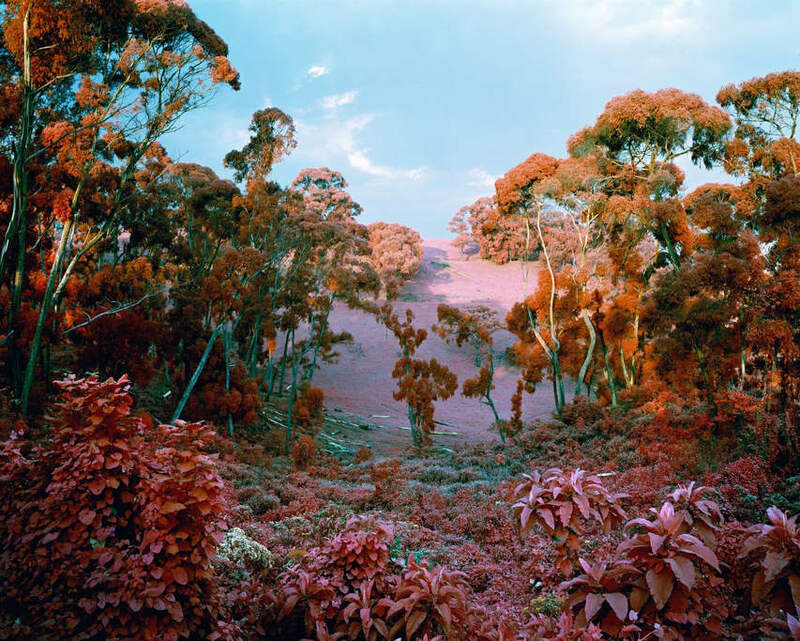 In 2017 his video installation Incoming was commissioned by the National Gallery of Victoria and the Barbican Art Gallery and won the prestigious Prix Pictet. 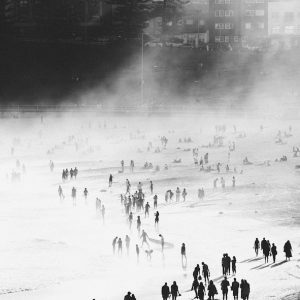 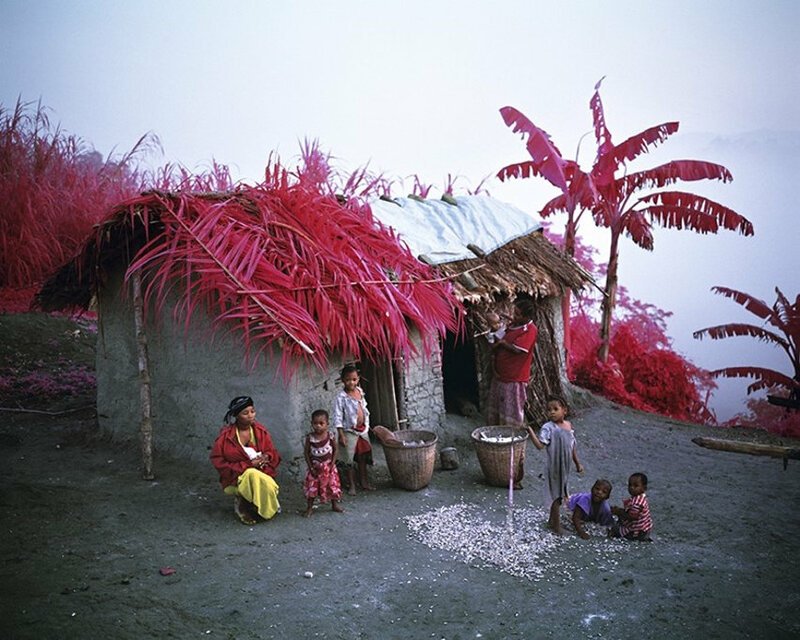 Mosse is known for using different photographic means in order to produce images which are both documentary and artistic. 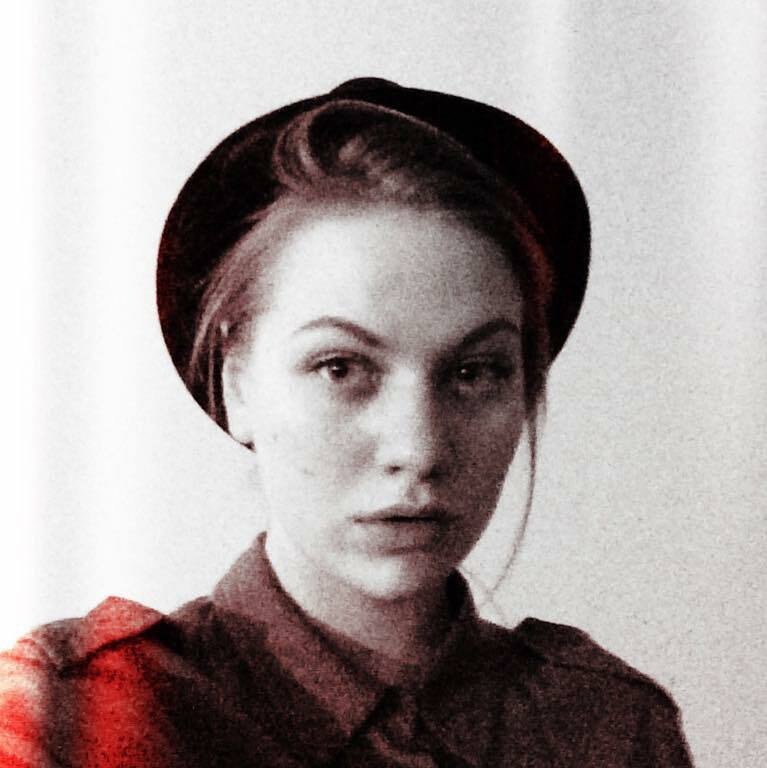 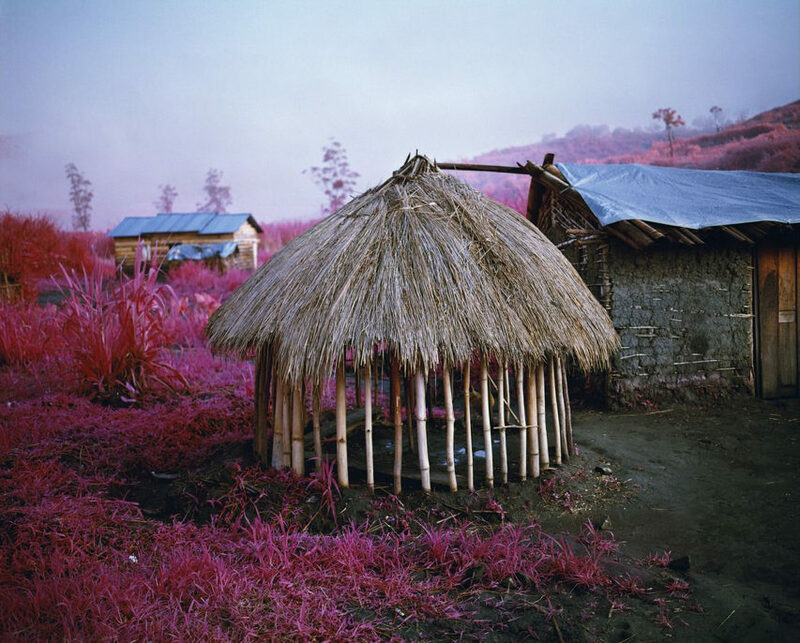 As a matter of fact, by appropriating aesthetic of infrared, surveillance image and high-resolution satellite spying technology so typical for the military, Mosse managed not only to radically rethink traditional representations of conflict photography but to question the very concept of contemporary combat strategies from geopolitical and anticolonial perspective. 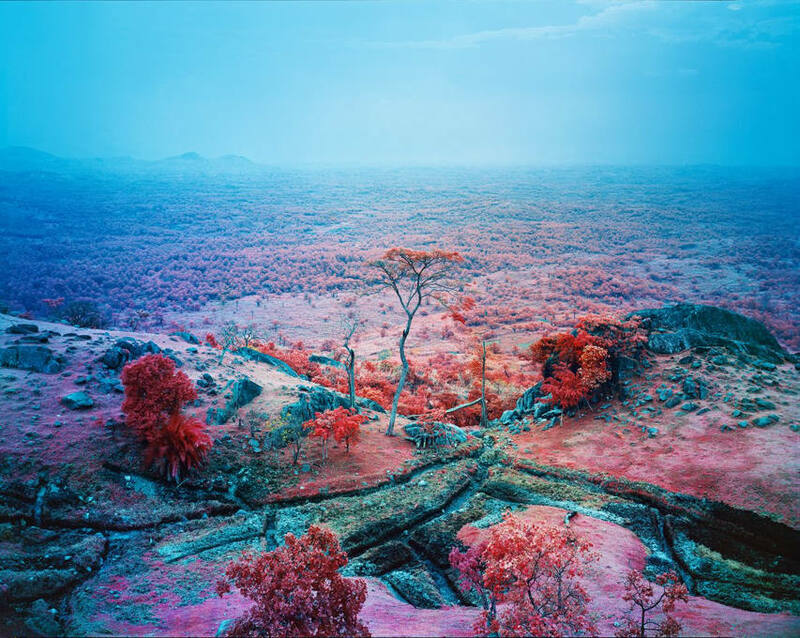 All images copyright of Richard Mosse. 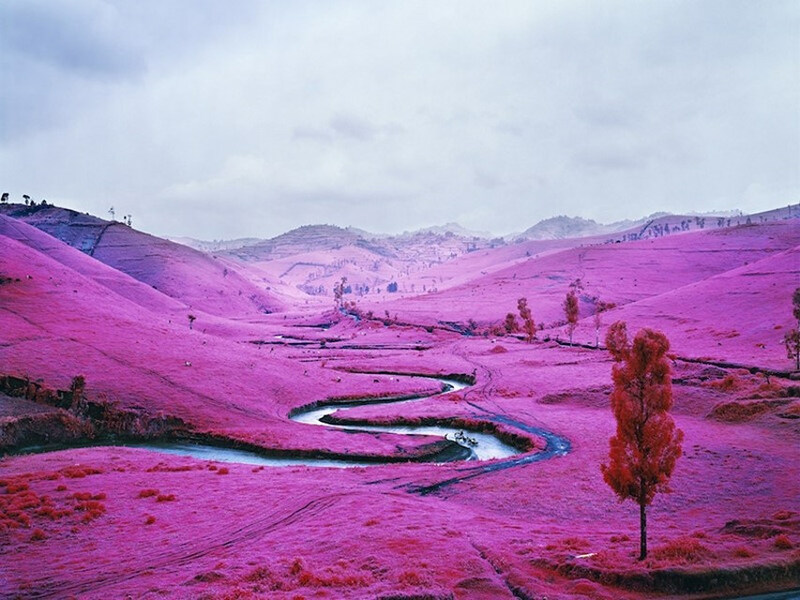 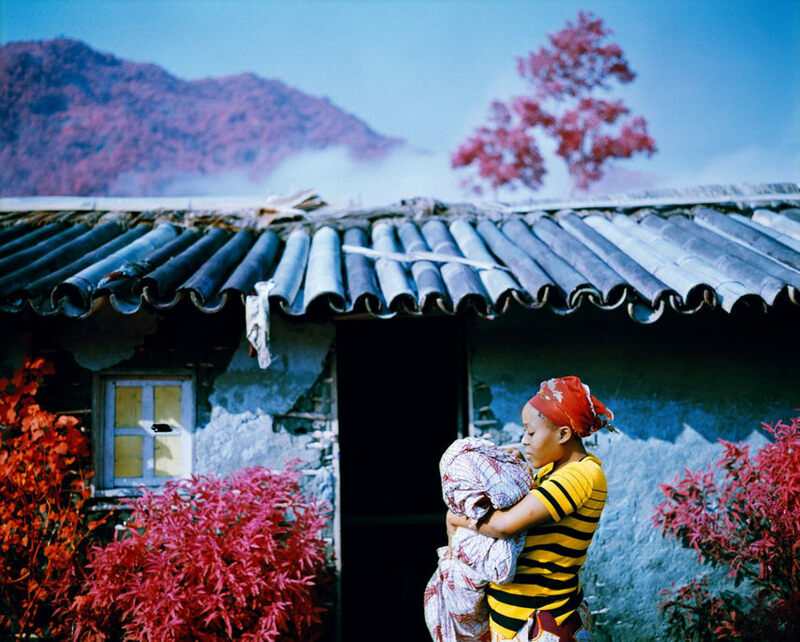 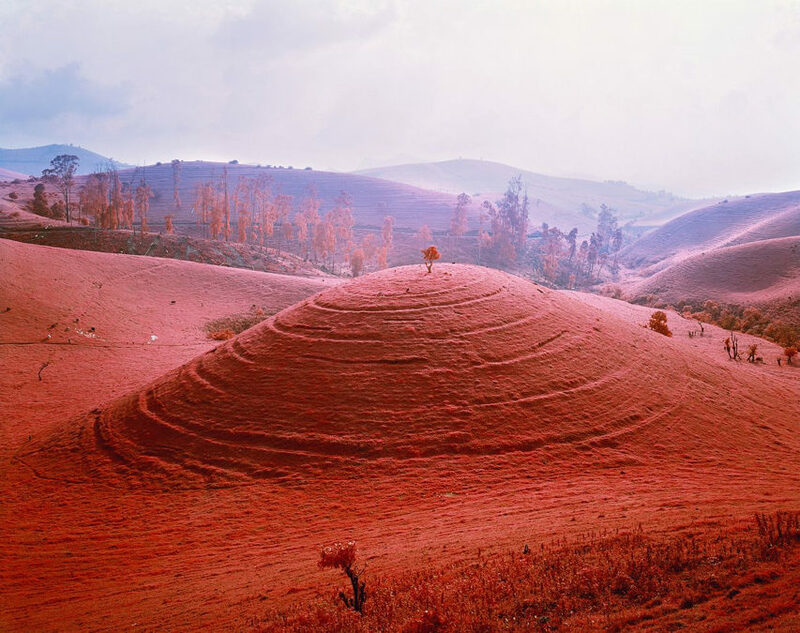 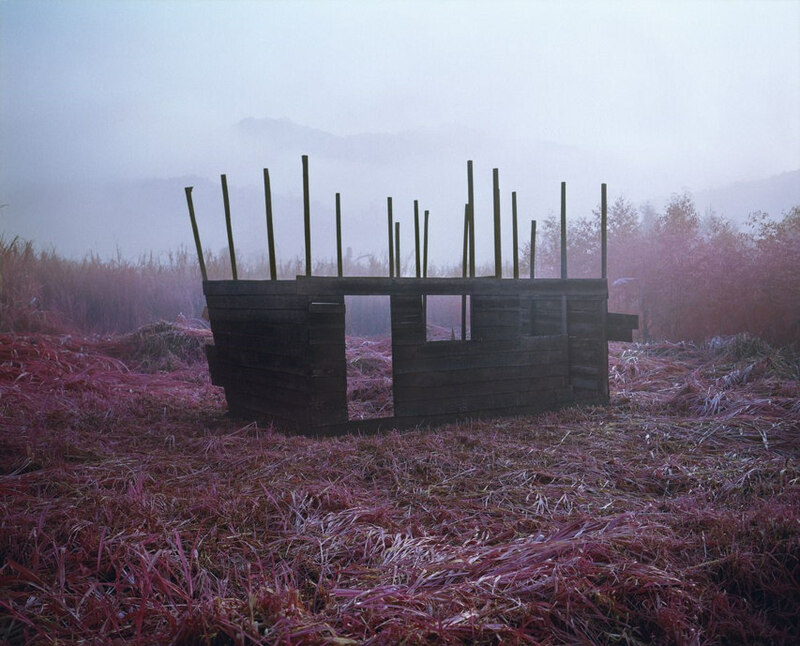 You can view more work by Richard Mosse on his Website and Instagram.